A Ferrule Rose or Ferrule Dolly is used to keep the formwork together, when rebar or round bar is used as a through tie. 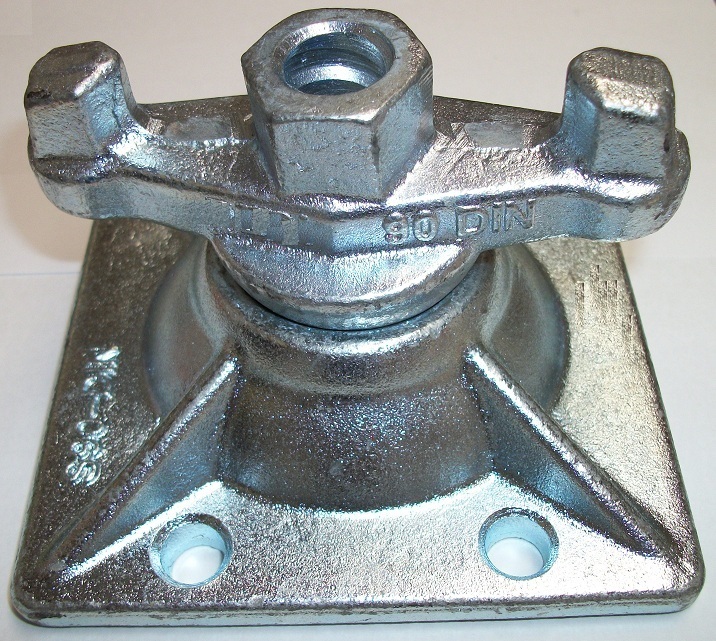 The Ferrule Rose or Ferrule Dolly is secured by tensioning it with a Ferrule Jack and then tightening the grubscrew against the rebar or round bar. Tensioning is achieved by ratchet action.